I love Pinterest! All of the captivating photos, inspiring words, practical ideas, delicious recipes, and creative projects. 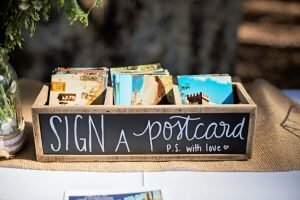 There are so many great tidbits of brilliance that I’ve decided to start sharing some of my favorites on here, like these travel inspired, non-traditional wedding guest book ideas. I love these alternatives to a stuffy register. They remind me too much of a funeral. And, trust me, you’ll NEVER go back and look at it! I love keepsake ideas that can also be functional practical. I love the idea of this keepsake idea from Wedding Wire. Collect postcards from your wedding location or places special to you and your significant other and have your guests write words of love and encouragement on the back. Turn them into a collage or simply keep them on display in a decorative box! 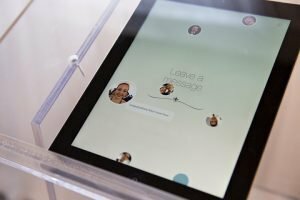 For adventurous couples who like to travel light, this techie alternative to a traditional guestbook is a great option! Have your guests leave a short video or selfie and message and store it all digitally. You’ll be able to take their love with you on all of your travels! 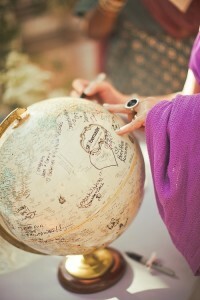 Recently, I ran across this idea for using a globe as a non-traditional guest book. This Pinterest idea also won’t break the bank or make you pull out your hair. Simply choose one that fits your taste/décor and have your guests sign it with a permanent marker. 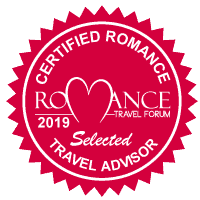 Check out our Pinterest boards for inspiration, travel tips, and other helpful information for planning a destination wedding or honeymoon. And Happy Pinning! !